£135pppw inc bills for academic year 2019/20. STUDENT LET. This is for students wanting the very best property with the highest quality dÃ©cor and furnishings, located in possibly the most desired location of any student, only a short walk from Lime Street Station., UoL campus and the centre. £129pppw inc bills for academic year 2019/20. For students wanting the best property with the highest quality dÃ©cor and furnishings, located in possibly the most desired location of any student, only a short walk from Lime Street, UoL campus and the centre. £129pppw inc bills for academic year 2019/20. 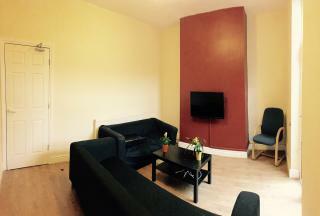 Rooms available for students wanting the best property with the highest quality dÃ©cor and furnishings, located in possibly the most desired location of any student, only a short walk from Lime Street, UoL campus and the centre. £120pppw inc bills for academic year 2019/20. STUDENT LET. A spacious 7 bedroom house. It compromises of 3 bathrooms, 2 kitchens, 2 living areas and is in a perfect city centre location behind Lime Street Station, close to all university campuses and only 5 minutes from shops, bars and restaurants. Available from July 2018, £115pppw! 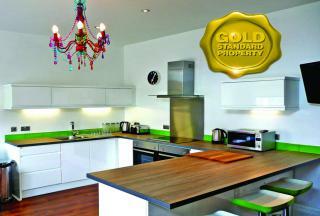 7 bed luxury student property with all bills included. This is for students wanting the very best property with high quality dÃ©cor and furnishings, located in possibly the most desired location of any student, only 1 minute walk from Lime Street Station. NO DEPOSIT OR ADMIN FEES + £200 CASHBACK! £90pppw inc bills for academic year 2019/20. STUDENT LET. A newly renovated 7 bed property with 2 bathrooms. With new paint, carpets, new furniture and new laminate floors, this huge house with a spacious rear yard is perfect for socialising with friends. NO DEPOSIT OR ADMIN FEE £90pppw inc bills for academic year 2019/20. STUDENT LET. 7 Bedroom property perfectly located close to the city centre (1 min from the Anglican Cathedral!) and a short walk to the university campuses! Features 7 large double bedrooms, kitchen, living area and 2 bathrooms. NO DEPOSIT OR ADMIN FEE. £85pppw inc bills for academic year 2019/20. STUDENT LET. A spacious 7 bed house right next to the Mystery. 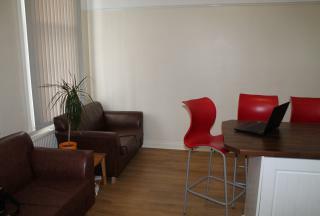 Close to the amenities of both Smithdown and Picton Road, this property enables easy access to both university campuses and the city centre via bus.